The term "mind control" can bring up all kinds of thoughts and feelings. 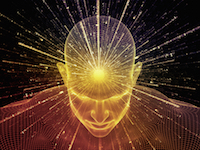 Yet as with almost any tool, mind control techniques can be used for the good of all of us or used to gain personal benefit at the expense of others. Though this lesson may be the most disturbing of all for some, it is also vitally important as far as understanding how some of the top secret, sophisticated operations which have a major impact on our world have been carried out. This topic also has some amazing healing applications. These applications and the deeper implications of all this information will be discussed at the end of the lesson. Some people would rather not know the many potentially disturbing facts about secret mind control programs used to manipulate people and politics around the world. Yet when we collectively choose not to know, those who are abusing these technologies are given free rein to explore further and to cause serious manipulations which lead to even more fear and polarization in our world. Don't ignore the bad stuff, but make a point of celebrating the beautiful stuff with all the exuberant devotion you can muster.